There was a point in time when I was completely obsessed with buying as many different highlighters as I could possibly find. I think it's because the foundation I was using, Estee Lauder Double Wear, has such a matte finish. I was desperate for radiant glowy looking skin and didn't realise that all I had to do was switch my base product. That being said I still can't resist the extra oomph that a good highlighter can add to your face. They just make my cheeks look so much prettier & I don't think I've ever left highlighter out of my daily makeup routine in the past few years. 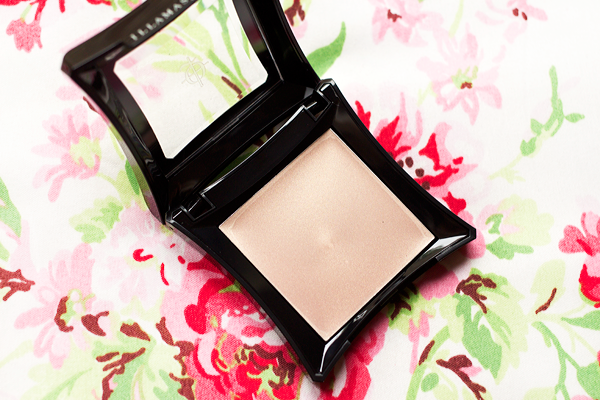 In my search for the perfect highlighter I bought this creamy offering from Illamasqua. I'm generally more into powder highlighters but when this product first came out the campaign photos were so breathtakingly beautiful. The dewy looking cheeks of every model in those pictures were something I still coveted even though I had more than enough highlighting products already. I simply had to have it. Creamy highlighters were nothing new to me, having used MAC's Cream Colour Base in Pearl for several years but Gleam is so much better than that. The consistency is incredibly creamy & it blends like a dream. I like that I can build it up without the texture looking weird. You can use it as subtly or as dramatically as you desire. The pearlescent finish & that luminous quality it gives to your skin are to die for. For a cream product the staying power is really impressive. With the MAC CCB I always had to apply a powder highlighter on top to make it last all day but this stuff is good enough on it's own. 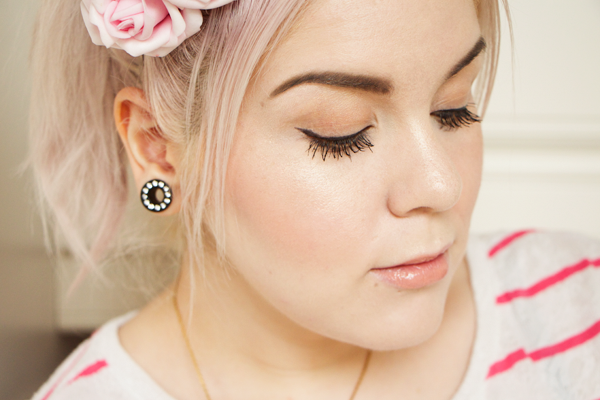 I like to use a ton of highlighter because I basically want my skin to glow like crazy. 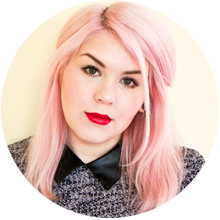 I pop some on my cheekbones, underneath my brow bone, down my nose & on my cupid's bow. I just use my finger tips to dab it into place & blend - there's no real need for brushes here. 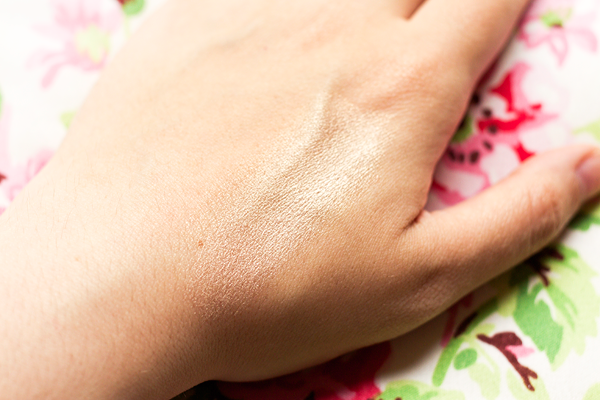 The soft champagne shimmer illuminates my complexion giving it an instant lift. It really looks lovely on the skin. Highlighter placement is important because you only want to look shiny in certain places. Cream products can tend to make you look a little oily if you're not careful but Gleam in Aurora always looks stunning, never greasy. I have this and I love it so so much! I've never tried any of their products but I've swatched this in store and it's gorgeous. Such a nice highlighter and I like that it's cream so you can use this anywhere! 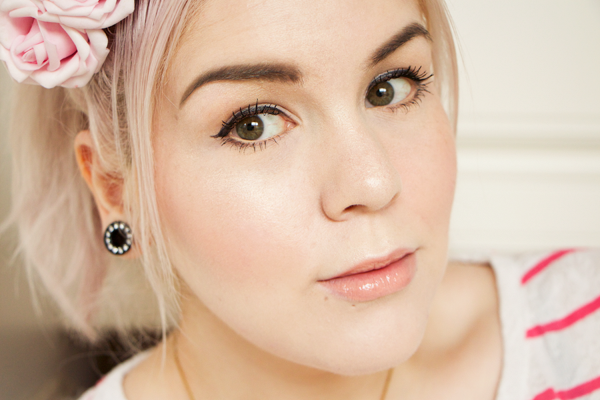 I've never tried Illamasquas highlighter but I love their Brow Cake so I may to treat myself! This sounds lovely! Im on a bit of a mission to use up my collection of highlighters at the moment but this is one I would consider trying in the future! This is such a gorgeous colour, it looks great on you! I love the name too.